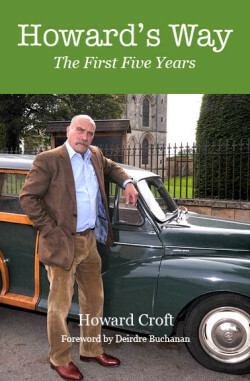 He’s never missed a deadline in 5 years, and more than 250 articles have appeared as a weekly feature in the Malton and Pickering Mercury to the delight of readers across Ryedale and beyond. Commenting, in his uniquely wry and self-deprecating style, upon current affairs that interest him the subject matters of his articles range from all things local and international, political and familial, to medical and frequently canine! But have you ever pondered what it takes to “dash off” 900 words of witty comment week after week? Howard will be discussing whose articles he looks forward to reading in the newspapers and the source of his inspiration. Profits from the recently published book featuring a selection of 100 articles will go to the Ryedale Book Festival, of which he is a supporter and Trustee. Tickets include a free copy of Howards Way. The event is Free for anyone who already has a copy!